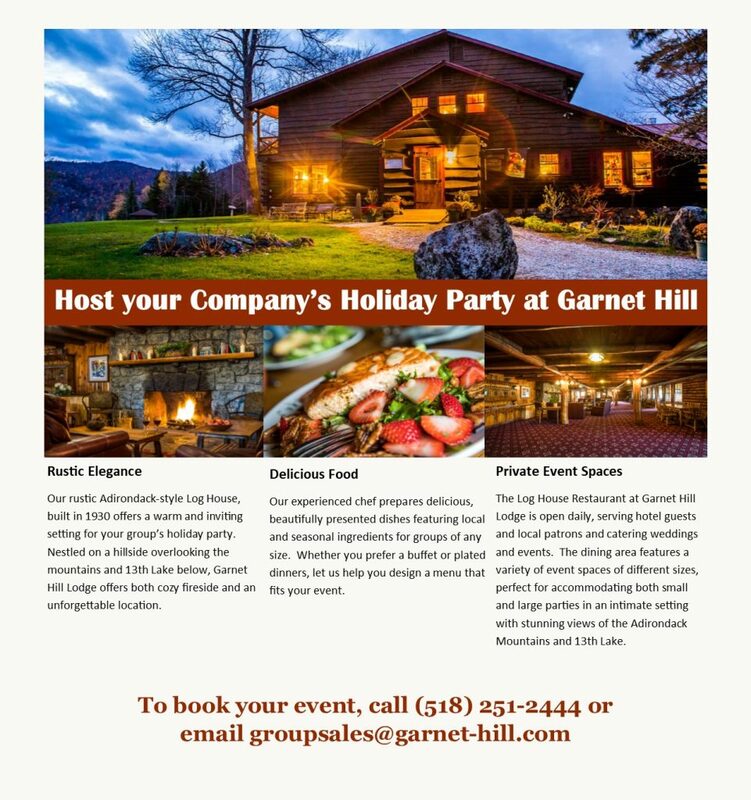 Garnet Hill Lodge offers Holiday Party options for every group. 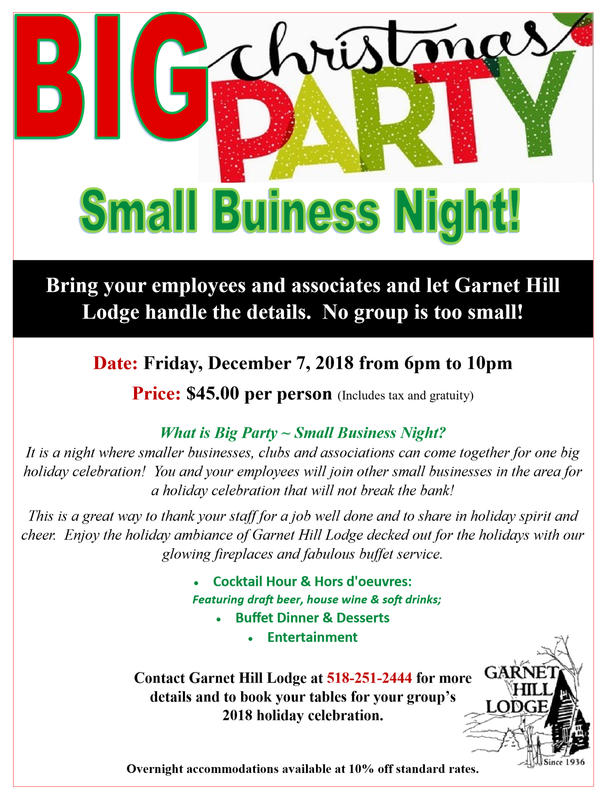 Host a private function at Garnet Hill Lodge, reserve tables at our Big Christmas Party for Small Businesses on December 7, or let us cater an event at your chosen location. 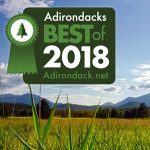 Let us bring the Log House Restaurant to you! Celebrate the holidays with your company or group in your own space. 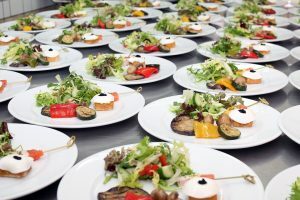 Work with our events staff to design a custom menu for your group. Contact groupsales@garnet-hill.com or call (518) 251-2444.